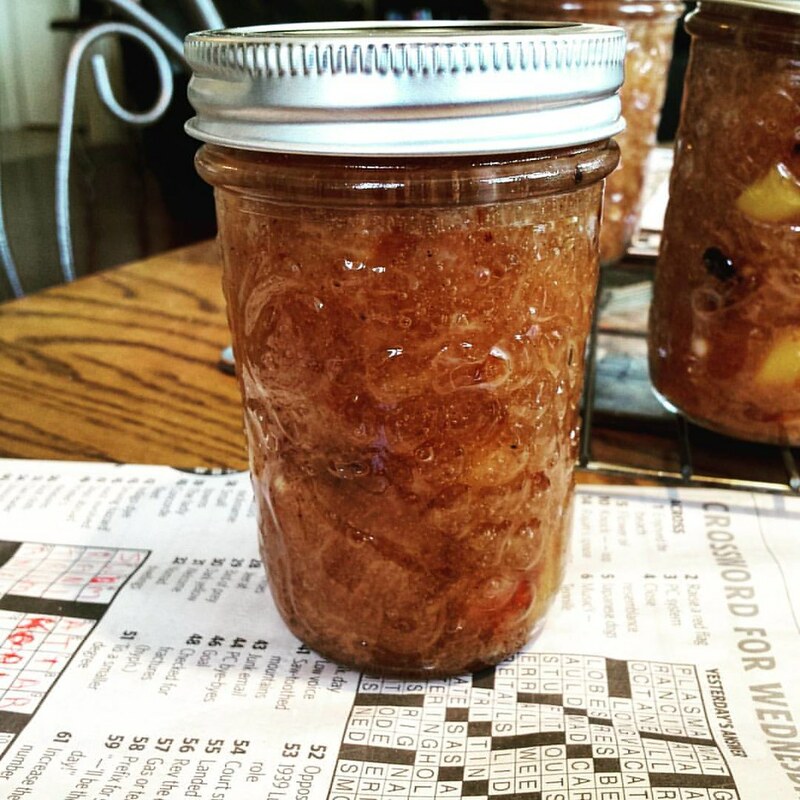 Roasted Peach Jam - Toast Topper #70 | What Smells So Good? Arrange peach halves cut-side up in a baking dish and sprinkle with raw sugar. Roast until the peaches are tender, about 25 minutes. Peel and finely dice peaches and place in a pot with lemon juice, 1 cup of the remaining sugar and cardamom. Bring to a simmer and cook 5 minutes, stirring often. Combine Clear Jel with remaining ¼ cup sugar and add to the peaches. Bring to a boil, stirring constantly, and cook 1 minute. Remove from heat and stir in vanilla. Process 15 minutes in a waterbath or freeze.